David Christopher began apprenticing with his father, Dr. John R. Christopher, in 1972 and became manager of the Dr. Christopher Herb Company in 1974. One of the first things he did was to professionally publish Dr. Christopher books which lead to incorporating Christopher Publications in 1977. As he began traveling with his dad, he learned first hand about legal injustices. These experiences later laid the ground work for David’s Jurisprudence course which has helped the graduates of the School of Natural Healing avoid legal problems. Dr. Christopher asked David to help with the School of Natural Healing, but the herb and the publication businesses took up his time until 1979 when he took over the reigns of the school. The first seminar he produced was held at the Snow Bird Ski Resort in Utah. It was 2 weeks long and attracted 80 master herbalist students. From this experience he began to expand the curriculum of the school. During the 80’s David was instrumental in establishing the school in England. This has resulted in the majority of present day English herbalists being trained in the Dr. Christopher theories. 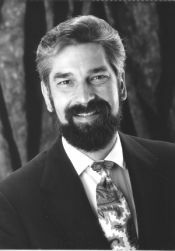 In 1982 David Christopher began to lecture on his own for different health organizations, including The National Health Federation, Whole Life Expo, and several cancer groups. His lecturing prompted him to resign as president of the herb company and to fully pursue teaching in 1993. He left the herb company in the care of his siblings. In the following year the School of Natural Healing became the 30th fastest growing company in Utah and was honored personally by Utah Governor, Michael Leavitt. David also helped to establish the Irish School of Natural Healing and still teaches there each year. After doing several satellite radio programs, a local radio station, KSRR, approached him to do a weekly health show in hopes of boosting their Saturday morning ratings. He asked his wife, Fawn, to join him as co-host. The show was named, “A Healthier You”, and has been on the air for 16 years. Now it is available world wide on the internet at www.ahealthieryouradio.com. David Christopher is a popular lecturer and is appreciated by those who sponsor him as well the lecture attendees. His repertoire is extensive including such subjects as weight management, diabetes, cancer, cleansing, backyard/grocery store herbalogy , etc. Basically, pick a subject and he will be happy to speak on it! He donates one hour Monday through Thursday to free mini tutorials and is available for private tutorials on any health concerns people may have. The ground work for David’s philosophy began in early childhood. Never having used drugs and only being treated wholistically, David strongly believes in exposing healthy people to small amounts of disease. However he strongly disagrees with the current vaccination methodology. As a young, healthy child he remembers his mother sending him to play at the neighbors while they had measles. This caused him to come down with the disease while his immune system was strong, thus assuring that he would now have natural immunity. David Christopher became aware of dietary differences in Kindergarten when the lunch workers provided bottles of milk to the students. One bottle had orange juice in it, so he knew it was his! As a point of interest, he later found out that his mother took the time every day to go to the school, pour out the milk, pour orange juice into the bottle and place it on the tray for him. Differences such as dark whole grain breads and fruit treats set him apart from his classmates. It wasn’t until adulthood, while lecturing for the National Health Federation, that he discovered that other people actually drank carrot juice and advocated a wholesome diet. David Christopher’s goal in life is to help others learn to benefit from a healthier lifestyle.